Diaper Bag Essentials and a Free Printable Checklist! September 1, 2014 By Allyson 17 Comments This post may contain affiliate links. Read my disclosure policy. 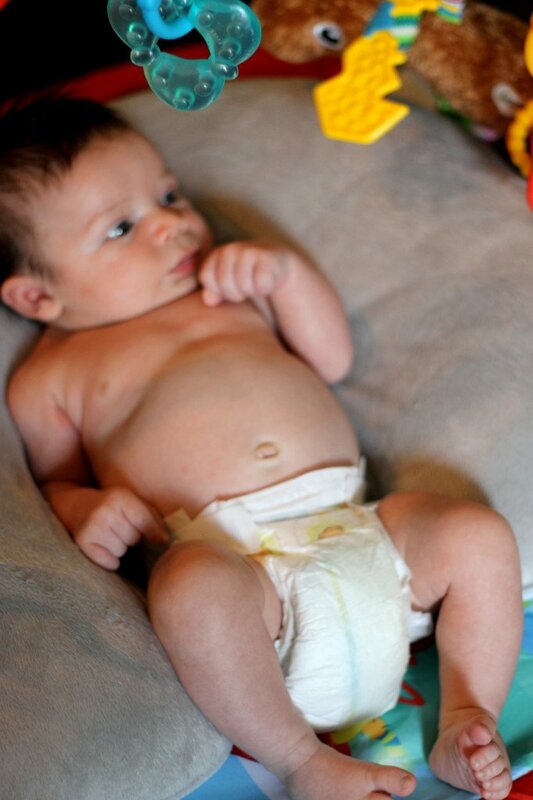 Now that we have another baby in the house, we are up to our neck in diapers! I really wanted to cloth diaper this time around, but with the baby so small, all the diapers I have are still too big. We decided to use disposables until Everett, our newborn, can fit into the bigger cloth diapers. Of course I turn to a brand I trust, Parent’s Choice from Walmart, when purchasing diapers for our precious baby. I love Parent’s Choice Diapers because they are super absorbent and also have the ‘wet’ line on the front, which indicates when the diaper is wet. Another thing I love about Parent’s Choice is the price! Going through 10+ diapers a day really adds up, and these diapers are very affordable, which definitely helps since I am currently on maternity leave. 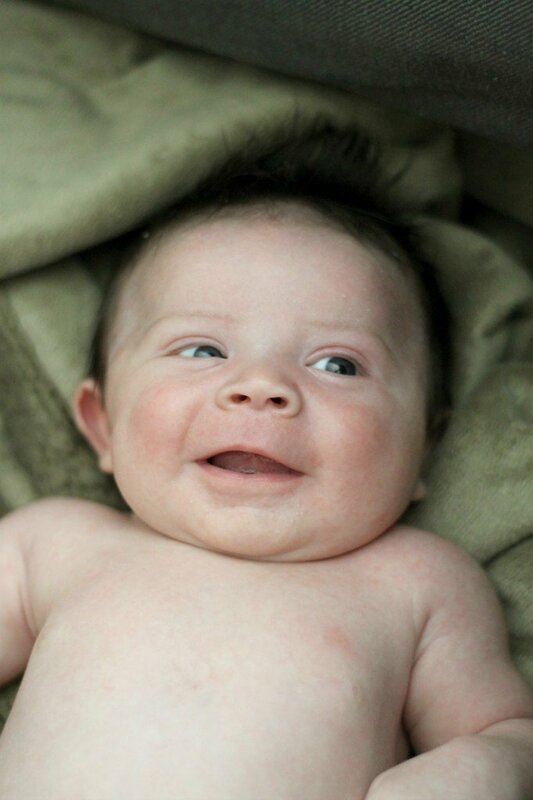 By using Parent’s Choice Diapers over other brands, you can save up to $240 annually, which is a lot of money! 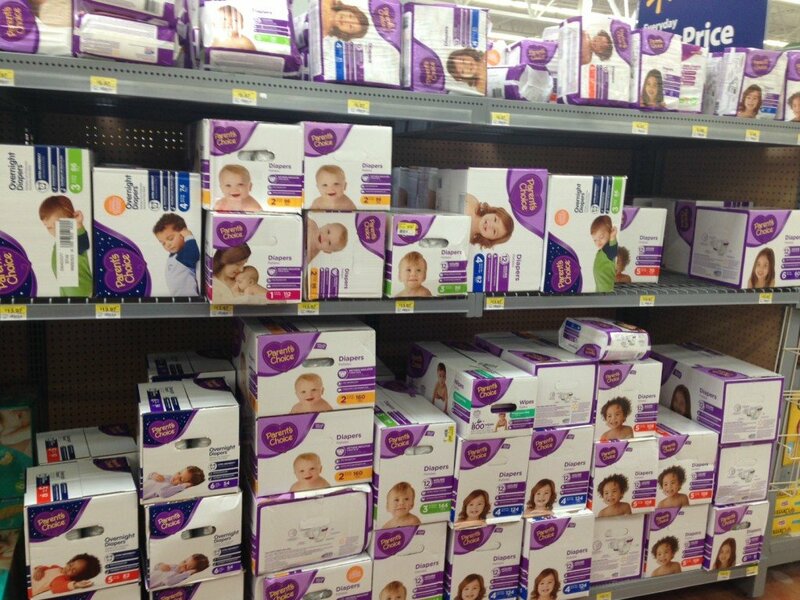 You can find the new and improved diapers at these Walmart stores. My son seems to like them too! Anyway, like I said, they are found at Walmart, and right now there is even a coupon to save $1.50 (while supplies last). So, I wanted to share with y’all how I stock my diaper bag, and the essentials that you need. I also made a FREE printable checklist so that you can make sure you always have everything on hand for your diaper bag! To print, click on photo below (will open in google docs), and then click the print icon on the screen. That’s it! 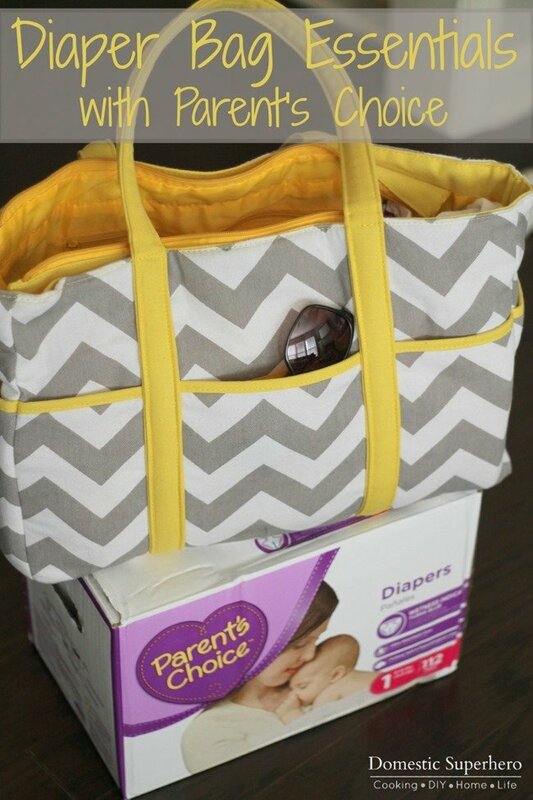 First, you need a diaper bag! 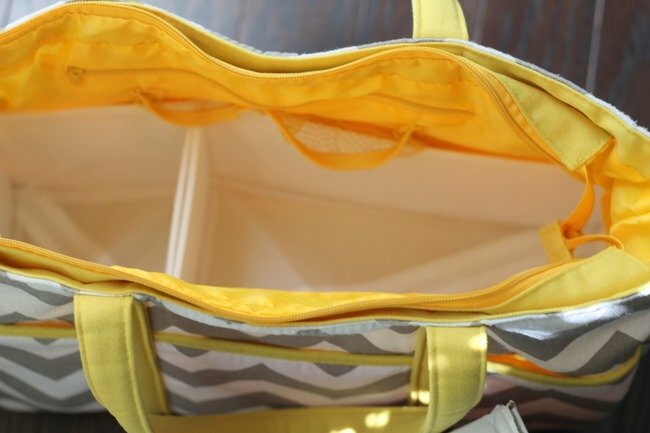 I have a softer structured diaper bag, but I love structure and organization so I use these bendable dividers inside my bag. It helps give it structure and more compartments. 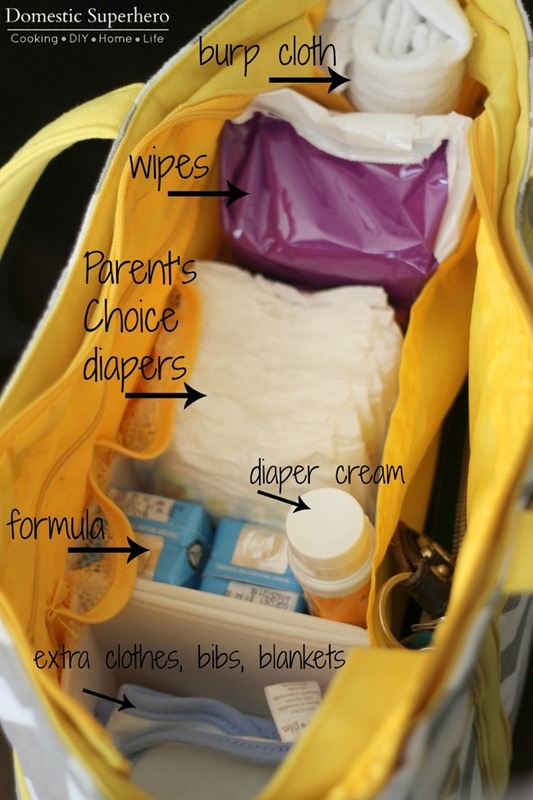 Next, I stock my bag with the essentials….Parent’s Choice Diapers, wipes, burp cloths, extra clothes, formula and bottles, a blanket, bibs, diaper cream, and my keys and wallet! Having these items in the bag at all times means that I am ready to throw whatever else I need on top, and head out the door in no time. Whenever I use something though, I be sure to replace it when I get home so I don’t find myself out and about without an essential item! What do you keep in your diaper bag? What are your go-to essentials? Have you ever been caught out and about without something you need? The only thing I would add is cash. I kept $20 in my bag because I found there were a few times where I needed it and didn’t have it. Oh that is a great tip! I usually keep a bit of cash in my wallet (although, I must admit I am living a credit card kind of life these days…), but stashing a $20 in a pocket is a great idea! I am so past this stage. But these are some really great tips! 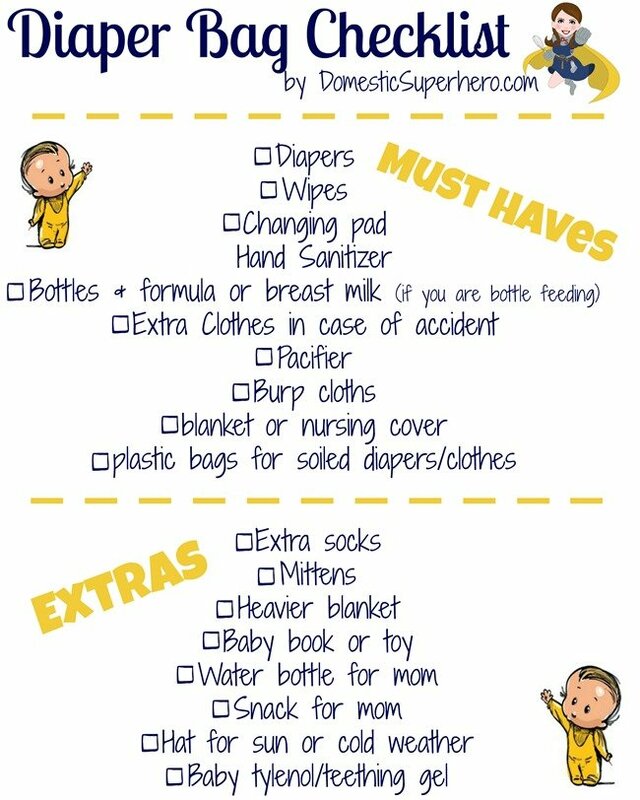 Fantastic checklist, especially for a first time mom! I totally agree with the above commenter about the cash. There have been times where I have grabbed my diaper bag but would totally forget to take my wallet so having cash in my bag would have been helpful! I have a first time mom in my family whom I love dearly. 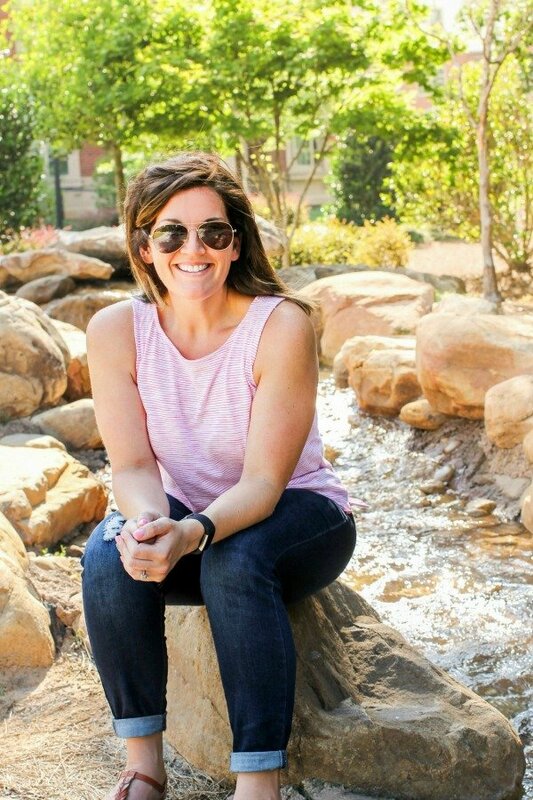 This is a great checklist for her, and a great read. I am definitely sharing it. Checklists were so great for me when I was first pregnant. My baby is wearing this brand diapers right now! They are so affordable and they hold up better than some name brands do! OH, how cute is he? Diapers and wipes are the must have when I leave the house. Plus, always good to have a bib, spoon and some baby food! It’s been a long time since I used a diaper bag but this list would have come in very handy when I was a stressed-out new mom! Aww, your baby is so adorable! When my kids were little I tried all sorts of brands of diapers. Parent’s Choice were used for 2/3 of my kiddos. Cute bag. I didn’t like any of the diaper bags on the market when I had my son, so I just used a larger purse as a diaper bag and only carried the absolute essentials. We are minimalists. I tend to do the same as the kids get older, but with a newborn I feel like I have to be prepared! That is a great list. You can’t enough stuff in your diaper bag! While my diaper bag days are long behind me, I remember them fondly. One of the best pieces of advice I ever got was to keep a diaper bag fully stocked in the baby’s room and in the living room by the door. I love how your bag looks so organised, however we all know it never stays that way.